Dunfermline fans know only too well that their recent form against Dundee United hasn`t been great, and with both sides looking for consistency, an unpredictable 90 minutes awaits both sets of supporters on Saturday. The Pars head into the match having lost 1-0 at home to Queen of the South last weekend; after a 2-2 draw (and defeat on penalties) to Alloa in the Irn-Bru Cup and the loss to Gary Naysmith`s men 7 days ago, Allan Johnston will be hoping it is third time lucky at East End Park as DAFC take on their "bogey team" of recent past. Josh Todd`s goal sealed a late victory for the Doonhamers - halting Dunfermline`s unbeaten run in the process. after 6 matches undefeated. 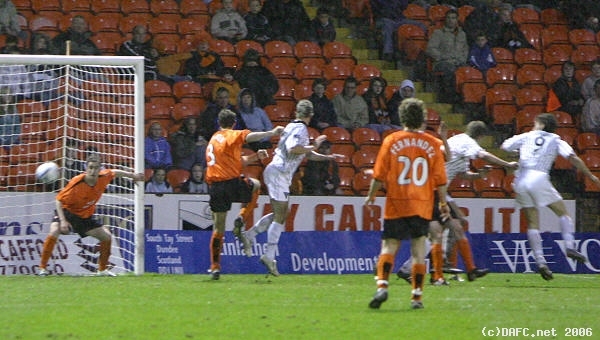 The Fifers accumulated league wins over Partick Thistle and fierce rivals Falkirk in that spell which drawing with Greenock Morton and Alloa Athletic in the Championship; being held by the Wasps once more in the aforementioned Challenge Cup whole also firing a blank against Boreham Wood in the previous round of the competition. While the run of form was decent, the squad have ultimately been disappointed with their recent form and performances on the pitch. The fans have began to get frustrated at what they feel are lacklustre and consistently poor displays. The showings the players have provided recently have saw the defence become a lot tighter, overall, with the reintroduction of the back 4. However, the issue for the West Fife club at present seems to be goals. Dundee loanee Faissal El Bakhtaoui hasn`t scored in the second tier all season while Myles Hippolyte and Robbie Muirhead have had limited opportunities to impress. Aidan Keena has returned from injury to provide more options and flexibility while top scorers Andy Ryan and Louis Longridge sit on 5 and 6 goals for the season in all competitions, respectively. The attacking influence is emphasised further by the return of Kallum Higginbotham and Ryan Williamson to fitness; although neither seem able to dispossess Longridge or James Craigen to regain a starting spot. The quality amongst the squad is clear to see and the 7th placed Pars know that they should and easily could be up at the top end of the table. It has been a disappointing opening quarter to the SPFL Ladbrokes Championship but Dunfermline know there are still 27 matches and 81 points left up for grabs. Looking at the visitors from across the River Tay, they have recently brought in Robbie Neilson following the dismissal of Hungarian manager Csaba Laszlo: the former Heart of Midlothian and MK Dons gaffer has an overall win percentage of 48% since taking the reigns of the Jambos in May 2014. When you compare this to Johnston`s record (which also stands at 48%) then it shows how difficult a task it is to manage a club in the 21st century. 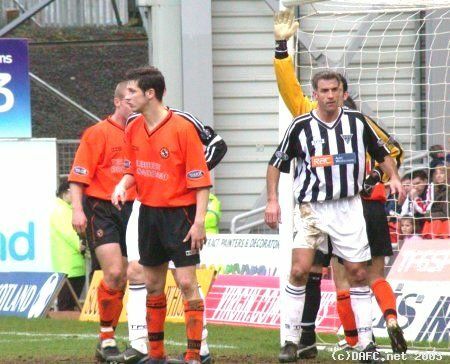 If we break it down; Neilson has had 191 matches in the dugout, winning 91 while our very own AJ has an extra 80 games to his name, having won 131 matches over his tenures with Queen of the South, Kilmarnock and here at East End Park. Of course, it is completely irrelevant in the grand scheme of things for numerous reasons; Johnston has won SPFL Ladbrokes League One on two occasions - at a canter if we are honest - while Neilson has had the privilege of working in the English Football League, albeit unsuccessfully as Milton Keynes lost their status in League One last term and were relegated to the fourth tier of English football... Although RN wasn`t in charge for the full campaign, it was a hard slog for he and Stevie Crawford, now Dunfermline`s Reserve Team Manager. Similarly to today`s hosts, the Arabs squad is filled with experience, potential and a quality which is undeniable for this level. Defenders Stewart Murdoch; Callum Booth and Paul Watson provide a steely backline, which is something Neilson is hoping will tighten up quickly. Then, you look at their midfield - club captain Fraser Fyvie, alongside Adam Barton and Sam Stanton provide the new boss at Tannadice a variety of options. Whereas, in attack you have threats such as Billy King, Yannick Loemba and Craig Curran, while Paul McMullan; Fraser Aird and Nicky Clark return to their old stomping ground, which always adds an extra boost to the atmosphere within the stadium. 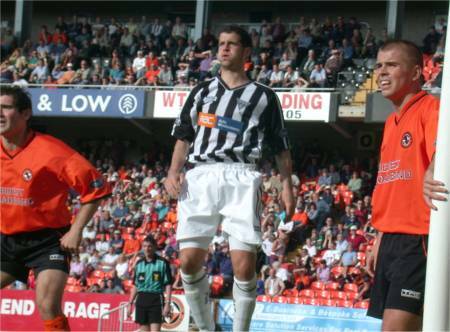 Since the arrival of the ex-full-back, the Tangerines are unbeaten after winning away to struggling Partick before drawing 1-1 at home to Inverness Caledonian a Thistle last weekend, as the Highlanders left the City of Discovery the happier of the two teams. Prior to that, United had lost 3 of their previous 5 matches, winning only one. That emphasises how tough a division both these sides find themselves I`m and how the table can literally turn all ways after every match-day. DU have played a match more and that means that their 4 point may well be overtaken by the Pars in the coming days, as DAFC head to the Moray Firth on Tuesday evening for a midweek encounter with John Robertson`s ICT. The 3-2 away win on match-day one killed off the hoodoo the Dunfermline fans saw hung over their heads against their Championship rivals. They will be hoping for similar today to begin the second quarter in positive fashion. Ex-players Clark and Aird were the goal-scorers that afternoon and Johnston will be hoping to deny those two this time out. Could lightning strike twice - and if so, to who? All will be revealed come 3pm... Hopefully it is 3 points on conclusion of another intriguing match at EEP.